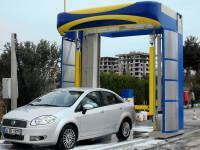 DBF Automatic Vehicle Washing Systems is the trademark brand of Alser Machinery Ltd. which is founded in 1987. 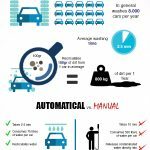 DBF Automatic Vehicle Washing Systems which are designed by the latest AUTOCAD and Solidworks software mostly in 3D are being produced with the latest technology sheet metal cutting and bending equipments like the CNC laser and plasma cutting devices, punch presses. After the formation, sheet metal are being welded Mig-Mag Gas Shielded and Tig Welding by our TUV certified welders. Later the construction are hot dip galvanised, clothed with phosphate coating and electrostatically powder painted. This way any further corrosion is prevented for a long lasting success. All mechanical, electronical and pneumatical equipment used in our systems is supplied from the worlds 1st class manufacturers. 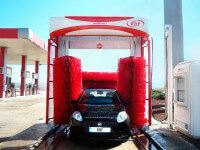 Our company is not only belongs to automatic car wash manufacturers, but is also, well-known high speed railway train, locomotive washing systems producer. As a group company we produced Steel Rolling Plants from Tunisia to New Zealand, Agricultural Green House Plants to Russia, Iraq. 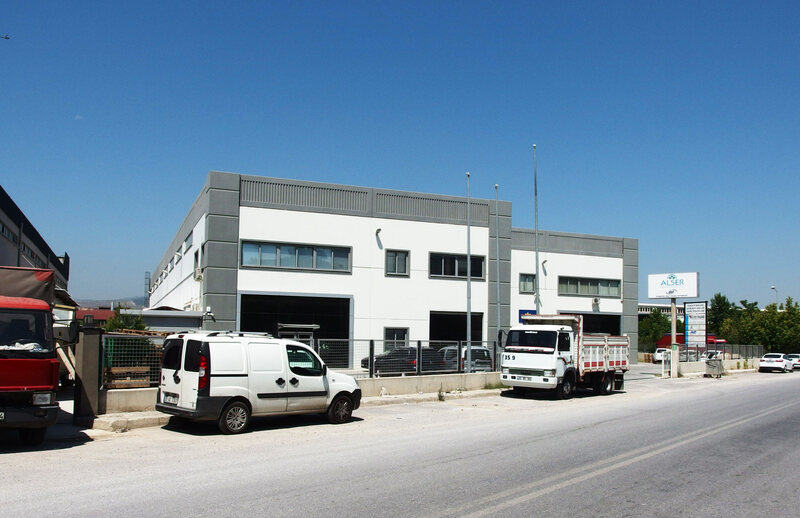 Automatic Vehicle Washing Plants more than 1800 machines for Turkey and exported more than 500 machines from Europe to Australia. 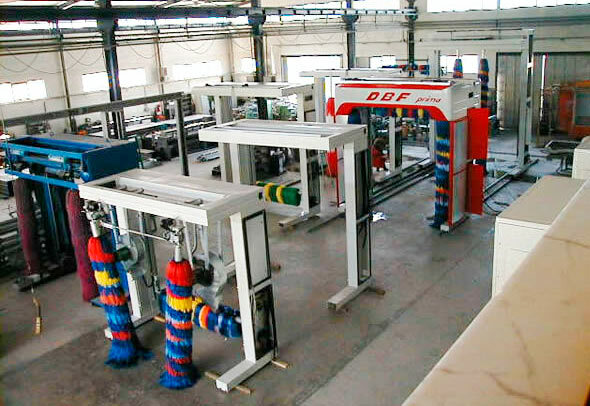 Even the High Speed Trains of Taiwan and Perth / Australia and Cars of Volkswagen Production plant in China are being washed by the technology of DBF. 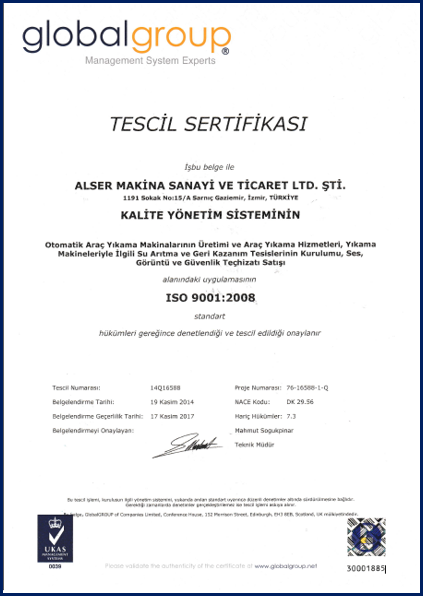 Experienced and expert staff, customer satisfaction with professional solutions represent our country abroad as the first company in the Turkish Industry. We are a global with distributors and having increasing market share. 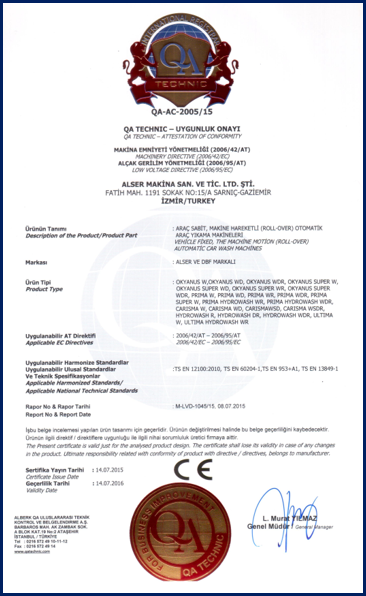 Our products have been producing in accordance with ISO 9001:2008 and ISO 14001. 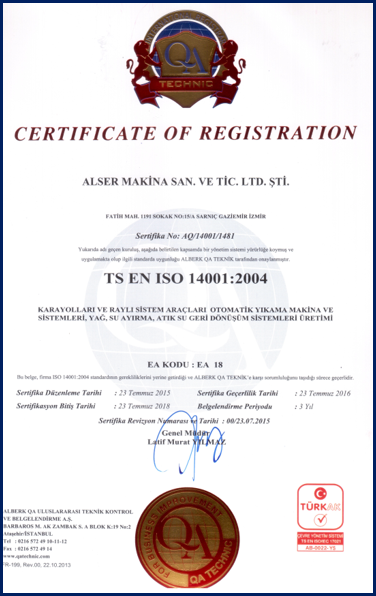 Our machines are CE Certificate. Our workers workers work according to the rules of BSI OHSAS 18001 System. © 2016 DBF Automatic Vehicle Wash Systems. All Rights Reserved.